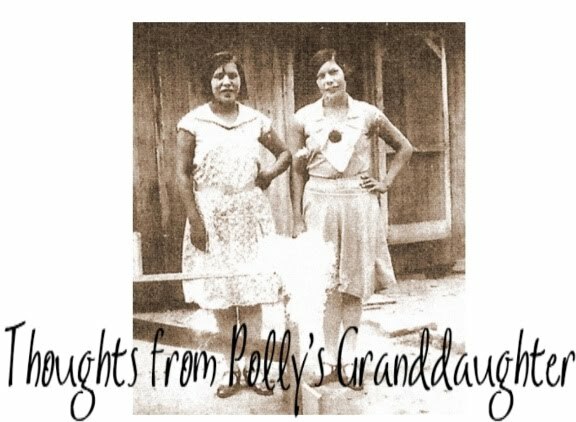 Throughout history, any time there was a reason to benefit from being Cherokee, many people claimed it, even when they weren't. Any time a rejected application is found, the motives of the person making it, as well as the character of the person or family making it, should be considered. Many people believe no one would claim to be Indian back in the day if they weren't, but that isn't true. Many times, if a non-Indian thought they could get something out of it, they didn't hesitate to claim to be Cherokee. That is why we must consider motive and character when reviewing a rejected application. There are many Mhoon descendants who believe they are Cherokee and descend from my ancestor, Cherokee Sally Hughes, simply because their ancestor, William Green Mhoon, filed an 1896 application for Cherokee citizenship and said his father's mother was named Sally Hughes. The problem is, Cherokee Sally Hughes is not their ancestor and there is nothing to indicate they are Cherokee. 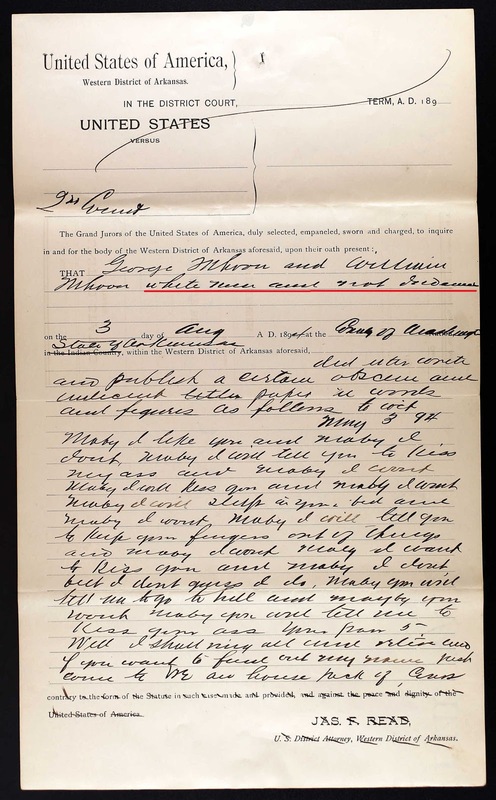 Because the 1896 application was rejected, it is important to search for information that gives insight into the character of the Mhoon family. 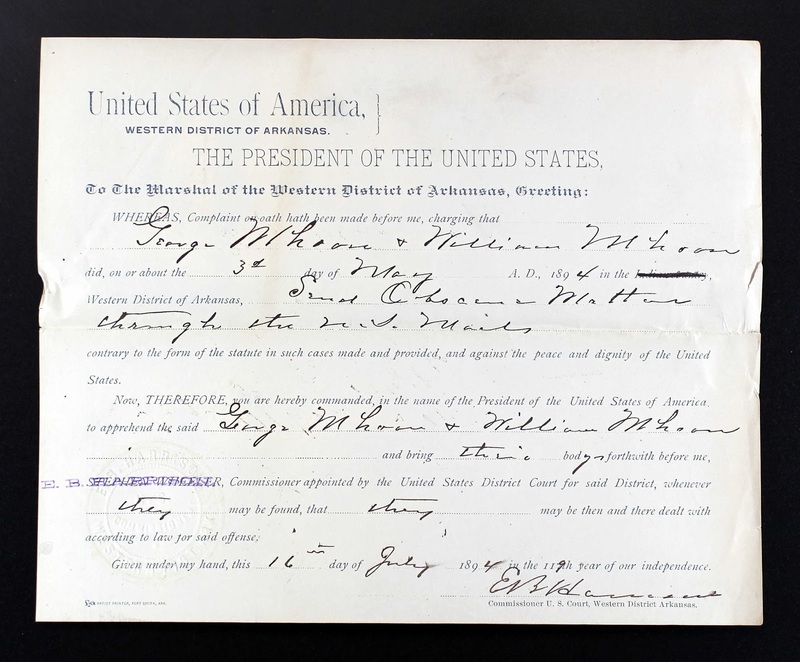 There is a Fort Smith Criminal File from 1894 on two sons of William Green Mhoon. 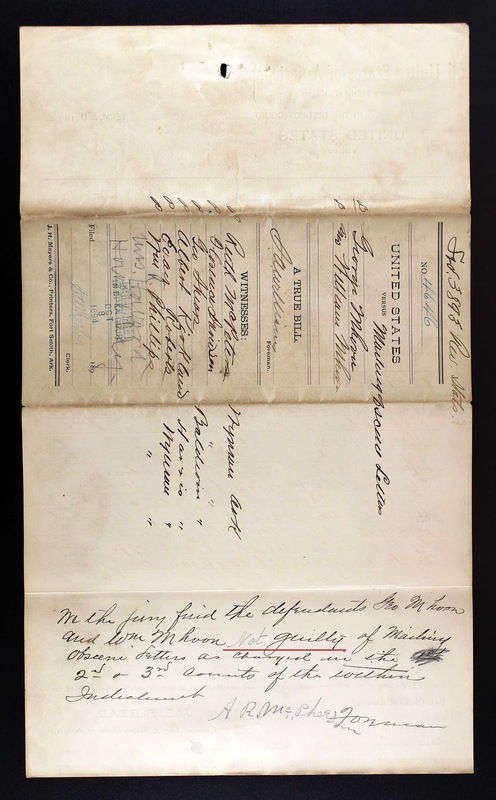 Though the case mainly focuses on George, it also included William. The charge was "Sending Obscene Material through the U.S. Mail." In the end, they were found "Not Guilty" on the 2nd and 3rd counts (I can't find information on the 1st count), but remember, this does not necessarily mean they were innocent. It could mean there was just not enough evidence to find them guilty beyond a reasonable doubt. Also, there is a lot of testimony about George stabbing a witness thirteen times for saying he, George, wrote and sent the obscene letters. The criminal file is very large (over 100 pages) so I won't post it all here, but there is one document I would like to make sure everyone sees. Please notice the following document from the criminal file refers to George and William as "white men and not Indians." Do you notice how investigating one topic helped us find information on another? Looking for documentation on the character of the family members led us to a document that clearly says these Mhoons were white men and not Indians. 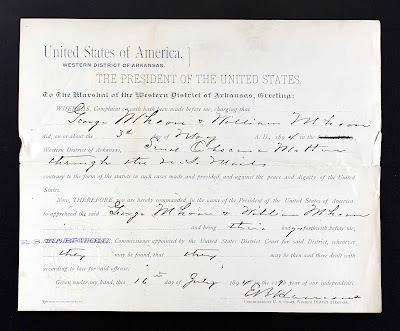 What was William Green Mhoon's motive for filing an application in 1896? Land and money. 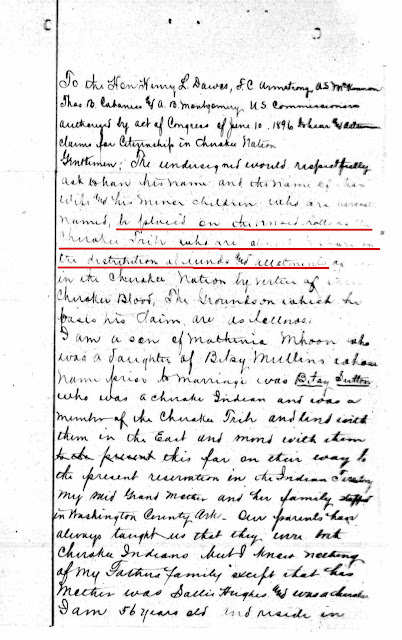 His 1896 application clearly says this - "to be placed on the (unclear) Rolls of the Cherokee Tribe who are about to share in the distribution of funds and allotments..."
We have found a motive for making a false claim of being Cherokee and we have found some insight into the character of not only this Mhoon family, but also those people who gave sworn testimonies for them. 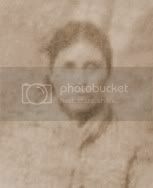 As we continue our exhaustive search for documentation on the Mhoons, it is becoming more and more clear that they do not descend from Cherokee Sally Hughes or any other Cherokee. Stay tuned as we take this search in a different direction and continue to show why the Mhoon family does not descend from the Cherokee woman, Sally Hughes. Nice research Twila! Lots of documentation here! This is the way it goes...sometimes you prove your hypothesis, some times you don't. I say the Mhoon family is interesting anyway!